”To me it appears to be a slash and grab approach, get rich quick and – pardon this use of language – but to hell with the consequences,” Sister Jocelyn Kramer said. New state government rules on coal seam gas, including a two kilometre no-go zone around residential areas, came into force this month, thwarting moves by gas company AGL to drill for coal seam gas near thousands of homes in south-west Sydney, including a property next to the Carmelites’ monastery. But the new rules do not affect approved projects – including an AGL gasfield near Gloucester, bringing wells 300 metres from homes, and Santos’ Pilliga venture in the state’s north-west. Industry Minister Ian Macfarlane last month moved to accelerate the industry in NSW and break the deadlock between the state government, farmers and gas companies, saying a gas shortage was looming and he wanted drill rigs going ”before Christmas”. ”When you are drilling underground, you really don’t know what effects you’re having in terms of subsidence, vibration, groundwater, soil … those are significant issues which our faith has something to say about,” Sister Jocelyn said. 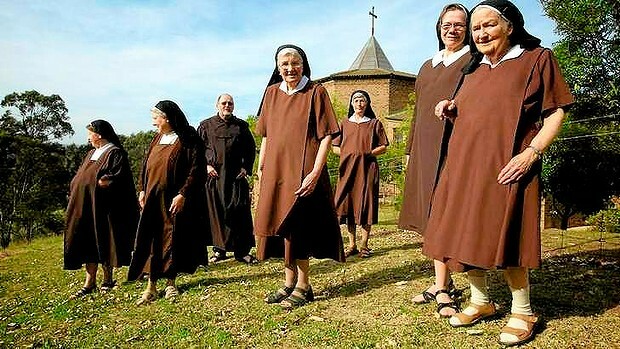 The Carmelites’ concerns are shared by North Sydney’s Sisters of St Joseph, who say the government should protect sensitive water catchments – a view backed by the Sydney Catchment Authority. With its new rules in place, the state government will ”fully support mining proposals which are in the right places” and pass a ”rigorous” assessment. AGL argues that coal seam gas is a low-impact, low-risk industry which can ”comfortably coexist with other land uses” – but the love-thy-neighbour sentiment is not always returned. ”You’d have to love the people but not the operation,” Sister Jocelyn said. heirs is a cloistered, holy life far from the whirl of Sydney, where the only sound some mornings is the flap of habits and the squawk of cockatoos.